Pre-order Star Wars™ Battlefront™ and experience what created the battle-scarred landscape of Jakku seen in Star Wars™: The Force Awakens. Feel the ominous thud of an AT-AT stomping towards your location as Rebel forces fire blasters at Imperial speeder bikes zipping by. Look up to see an intense dogfight between X-wings and TIE fighters filling the sky above you. Get ready to immerse yourself in epic Star Wars battle fantasies when Star Wars Battlefront releases on November 19 in the United Kingdom for the PlayStation 4, Xbox One and on Origin for PC. Fight for the Rebellion or Empire in a wide variety of multiplayer matches for up to 40 players, or in exciting challenges inspired by the films available solo, split-screen or through online co-op. Star Wars Battlefront combines this epic action on a galactic scale with stunning visual recreations of some of the most iconic planets, weapons, characters, and vehicles in the Star Wars universe and the original sound effects from the films, to give you the ultimate, authentic and immersive interactive Star Wars experience you’ve been looking for. 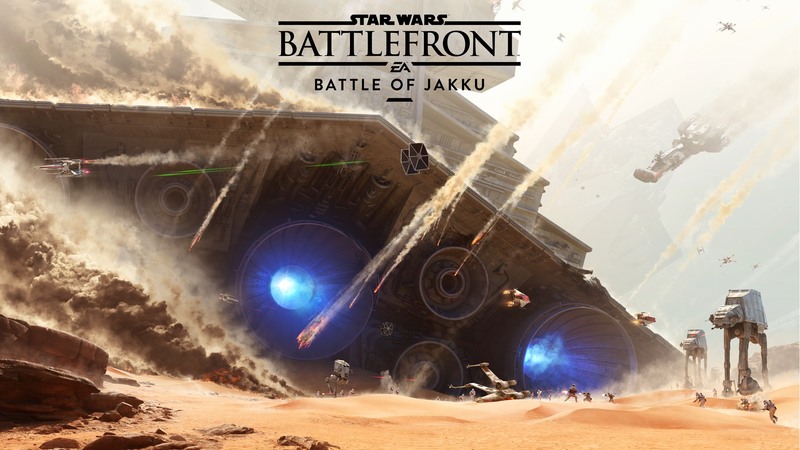 Pre-order Star Wars™ Battlefront™ and on December 1st, 2015, be among the first players to experience the Battle of Jakku*, the pivotal moment when the New Republic confronted key Imperial holdouts on a remote desert planet. Taking place in the aftermath of the Rebel victory in the Battle of Endor, players will experience the events that created the massive, battle-scarred landscape of Jakku shown in Star Wars™: The Force Awakens™. 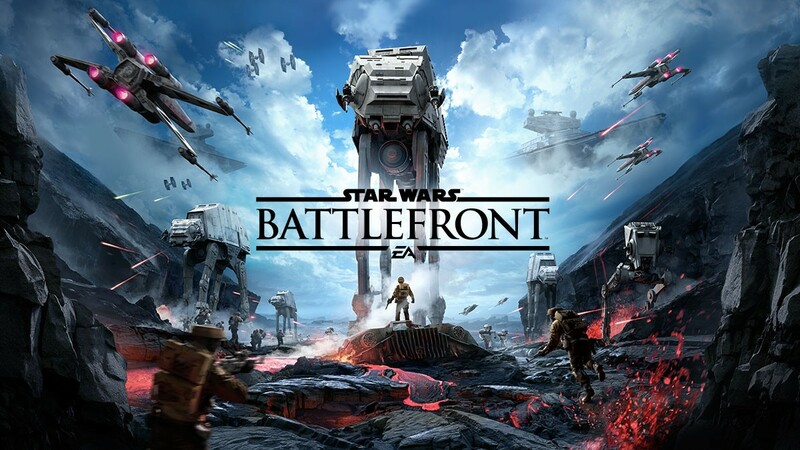 Players who pre-order Star Wars Battlefront can fight the battle one week early. All other players will get access to this content on December 8th, 2015. The countdown to November 19th has begun. Stay tuned to Star Wars Battlefront and our official social channels for updates and may the force be with you. Be the first to get all the latest on EA Star Wars games, including Star Wars Battlefront, as well as other EA Games, news, and events.